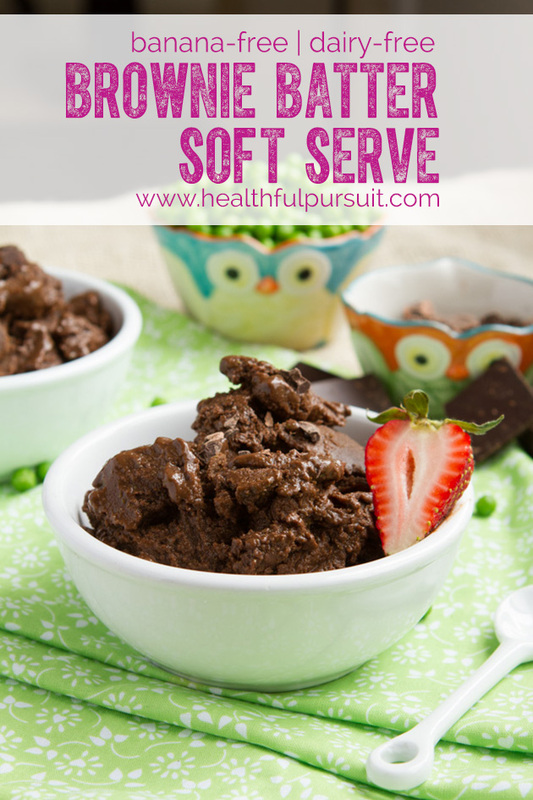 Dairy-free brownie batter soft serve that’s thick, rich and loaded with protein (20 grams per serving!). Made without bananas or fruit. Before you scroll down to see what main ingredient I used to make this delicious, guilt-free dessert, I’d like to remind you that I’ve never steered you wrong before. This recipe concept is a little “out there”, yes. But I tested it like mad crazy and am confident that; if you decide to give it a go, and follow the recipe precisely, that you’ll enjoy it. Heck, you may even make a second batch on the same day. You know, just in case. Peas are loaded with antioxidants and anti-inflammatory benefits. They’re low glycemic index (45-50) coupled with their strong fiber and protein content, makes these little green guys a powerful combo for anyone looking to balance their blood sugar. Even though green peas are a low-fat food, the type of fat and fat-soluble nutrients they contain is impressive. Did you know? Green peas are a reliable source of omega-3 and 6 fats? 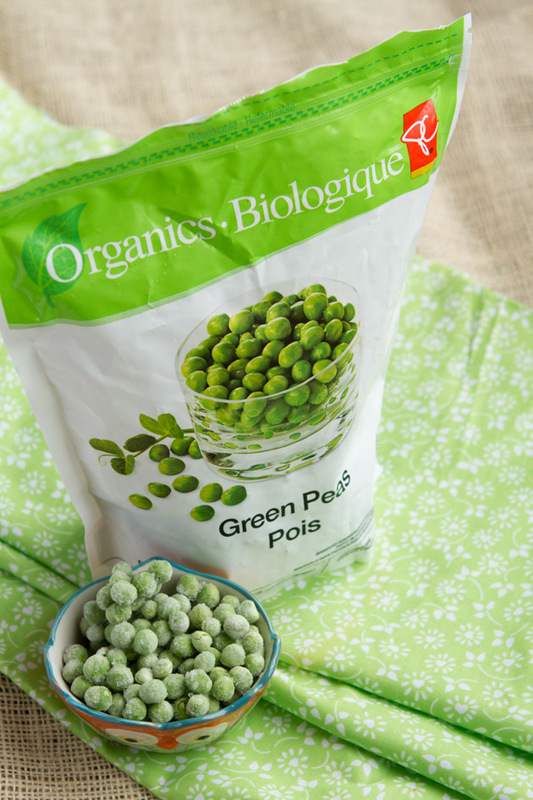 1 cup of green peas has about 30 milligrams of ALA (omega-3) and 130 milligrams of linoleic acid (omega-6). 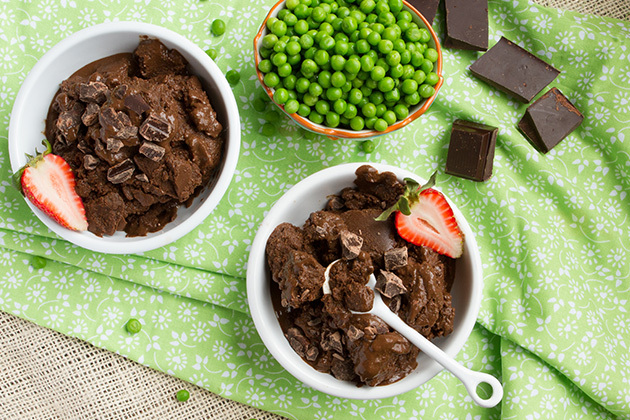 The fat content of green peas helps us assimilate the fat-soluble nutrients from this legume, including beta-carotene and vitamin E.
Dairy-free brownie batter soft serve that's thick, rich and loaded with protein. Made without bananas or fruit. Add ingredients to the jug of your high-powered blender in the order that they are listed in the recipe. Blend on low initially, slowly moving up to high. Use your blender's tamper to press the ingredients down into the blades. Blend until smooth, but do not allow to melt. Once mixture forms 4 peaks up the side of the jug, it is ready. See picture for example. Serve immediately or transfer to a bowl and freeze for 30 minutes to firm up slightly. Stir, then serve. Making the recipe vegan - I would have liked to make this recipe vegan (without eggs) but it just wasn't coming together. I tried multiple versions with chia seed and many other ingredients, but the egg white protein powder was what made the soft serve soft and fluffy. 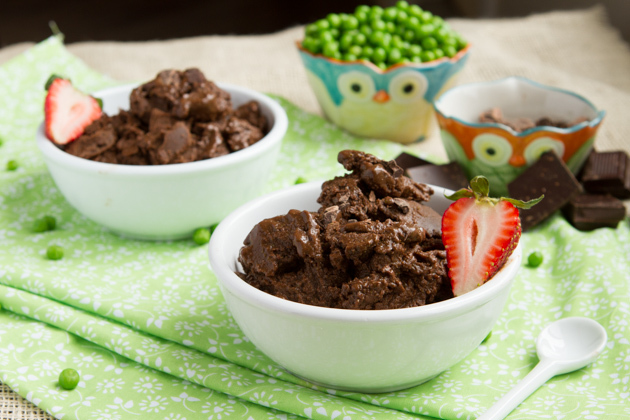 Without it, the recipe is just mashed peas with cacao powder. Egg White Protein Powder - if you do not have this ingredient, and you're comfortable with it, you could add 2-4 tablespoons of pure egg white. That is about 1 egg white from 1 egg. Coconut sugar - feel free to use any type of sweetener here. If you use a liquid sweetener, you'll likely have to reduce the amount of water from the recipe. Water - you could use dairy-free/non-dairy milk here, too. Almond milk would be nice. Organic Peas - I tried this recipe with organic and conventional peas. What a difference! I highly recommend purchasing ORGANIC for this recipe. As I mentioned in the recipe, you’ll want to stack the ingredients in your blender in the order they are listed. This is imperative. Also, do not over mix! You want to make sure that all of the frozen peas are broken down and smooth, but that everything is still frozen. If you over blend, no worries. Just drop into a bowl and freeze for a little while, stirring every 30 minutes or so until the desired consistency is reached. 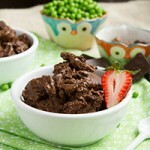 I froze my soft serve for 1 hour and kept it a bit chunky – the chunks taste like bits of brownies! Sprinkle with broken dark chocolate and garnish with a strawberry, if you’d like. Crazier than cauliflower pudding? You be the judge.